Nothing particularly close to us, but three large, larger, and freakin’ huge brush fires have broken out within about thirty miles of us, with at least a couple more fires further inland out toward Riverside and San Bernardino. 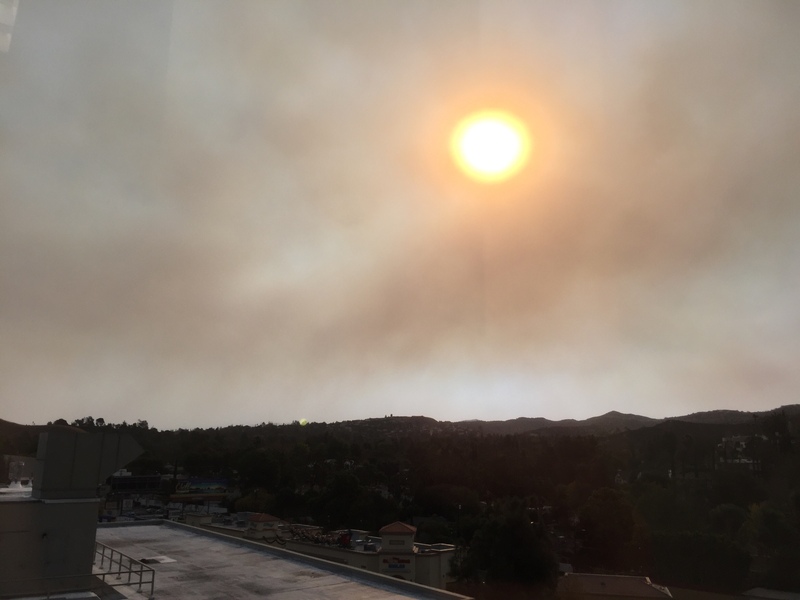 From my office this morning the clouds of smoke from the fires in Sylmar and Santa Clarita made the sun reddish-brown like a dirty sunset. It will be days before we have a true handle on the extent of the damage. For example, in the Thomas Fire all they’re reporting is “150+ structures damaged,” but one of the structures in question was a 60-unit apartment building (burned to the ground) and another was the Vista Del Mar Hospital. Looking at local television coverage from the air, the number of houses that have burned to the ground will likely be far, far higher than 150. Welcome to Southern California! Bring Bromotrifluoromethane! This sounds dreadful. Hope they get contained, and no more start up.